That’s the vision that Matt Anslow will have in mind this Saturday 26 January, when he and fellow Anabaptists from across Australia and New Zealand sign an historic treaty with Aboriginal and Torres Strait Islander peoples. Gathering for their biannual ‘On the Road Conference’ around the theme ‘Reconcile’, Anabaptists have invited Aboriginal Christians to run a “Truth, Justice and Conciliation Commission” – with the treaty being the centrepiece. Anslow says the idea of holding a ‘Truth, Justice and Conciliation Commission’ came from a conversation with Brooke Prentis, Common Grace’s Aboriginal and Torres Strait Islander justice leader. Common Grace is a Christian social justice movement. “I said, ‘If we’re running a conference called ‘Reconcile’, focusing on how to be people of reconciliation in a broken and divided world, then we have to make sure that we are providing space to have very serious conversations about the kind of reconciliation we need to see in this country’,” he says. Prentis says that the word ‘conciliation’ is a direct reference to instructions given to British Captain Arthur Phillip by King George III. The commission has been modelled on similar reconciliation commissions that have taken place in Canada and South Africa. It will be opened and closed by Aboriginal leaders Aunty Jean Phillips and Brooke Prentis and Pastor Helen Wright from Sydney’s Newtown Mission will perform her own song “Sister, why do you weep?”. Non-Aboriginal speakers will begin with a time of “truth-telling,”, symbolically “carrying the burden” of telling the true history of Australia and the church in Australia. 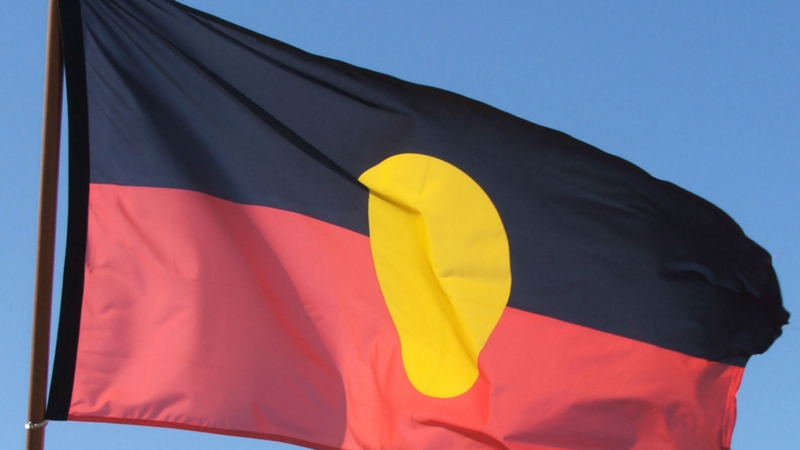 They will cover issues including stolen land, massacres, stolen wages, stolen generations and what Prentis calls “stolen lives” — referring to the five Indigenous girls under fifteen years of age who committed suicide in the first nine days of January this year . Each speaker will place a symbolic item in a wooden box – in keeping with the tradition of the global indigenous truth and reconciliation commissions – that has been built for the occasion and painted by Aboriginal artist Safina Stewart. There will then be a time of reflection, followed by a time for repentance, before signing the treaty. Matt Anslow is humble but hopeful about the impact and authority the Anabaptist Association has to sign a treaty with Aboriginal and Torres Strait Islander peoples. “We’re not large — we’re only a few hundred people. It’s a network that exists to connect Anabaptists and to educate the church about what I guess you’d call the ‘emphases’ of Anabaptists, especially peacemaking, reconciliation, and conflict transformation,” Anslow explains. From Anslow’s perspective, a treaty is not just a good idea, it’s a biblical one discussed in Paul’s second letter to the Corinthians, when the church is called to be ministers of reconciliation and agents of the new creation that God is bringing about. “The question for the church is what will that new creation, that restored creation, look like?” he says. “Will it look like a world in which Aboriginal people are imprisoned well and truly above the size of their demographic? Will it look like a situation where Aboriginal people die in custody for things like having not paid a fine? Will it look like having children taken away from family and people alienated from their land?” he asks. Prentis hopes the Commission will help “change the heart” of firstly Australian Christians, and then all Australians, because that is what’s really needed in Australia, beneath all the policy and funding issues that relate to Aboriginal and Torres Strait Islander peoples. “We need a change of heart in Australia, so that our nation not only embraces Aboriginal people, but acknowledges our custodianship of the lands and the waters – whether your theology says it was for sixty-five thousand years or six thousand years,” Prentis says. To her knowledge, a truth commission between Aboriginal and non-Aboriginal peoples hasn’t happened in Australia before – despite it being called for in 2017’s Uluru Statement from the Heart. “All Australians have been invited by Aunty Jean to come and to participate in repenting and trying to find a better way for us — and especially for our churches — to respond,” says Anslow.